With seasonal changes comes seasonal upkeep. Each season presents new chores to keep up with, especially outside. When your house is for sale, it’s vital that you keep up with the curb appeal of your home. When potential buyers see the Buy Owner sign in the front yard, all they have to go off of is the external appearance. When potential buyers visit for an open house, the external appearance is what they judge first. In your ads, the first picture potential buyers will view is usually of the front exterior. 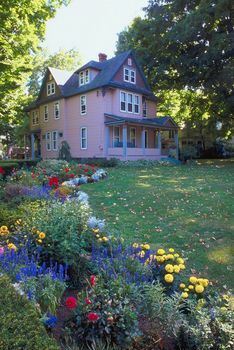 •	In order to keep up with the curb appeal as much as possible, consider the natural elements. Fall means raking up leaves and trimming bushes. Winter means shoveling the snow off the driveway and the walkway. Spring means cleaning out the gutters, planting flowers and fixing paint chips. Summer means planting more flowers and mowing the lawn. •	Every couple weeks, stand in front of your house and just look at it. It’s often hard to judge your own home, so consider asking a neighbor or friend for advice too. By stepping away from the home and looking at it from the view of potential buyers, you’re more likely to notice little nicks, cracks or stains that you would otherwise pass right over. •	After taking a good look at your house from a distance, look closely at each individual aspect. Browse the entire scope of the roof and the siding, using binoculars. Walk up the driveway and walkway, while closely reviewing the surface. Stroll through the grass, look up in the trees and brush cobwebs off the bushes. Take your time. •	Handle one issue at a time, so you don’t feel overwhelmed. If the driveway could use a renewal, plan a day to resurface it. Once that chore is complete, wash around the windows that you noticed were collecting spots. Then, trim bushes and pick dead flowers from the pots. •	Continue to enjoy your curb appeal. If you’re proud of the appearance of your home, others will take notice. Relax on the front porch and breathe in the fresh air. Decorate the walkway with annual flowerpots, or with pumpkins and gourds. Build a snowman in the winter. Make the appeal clean, upgraded and homey. Are you interested in building a deck somewhere on your property? Before you get into the logistics of size and space, you should first decide why exactly you want a deck. What do you hope to get out of it? 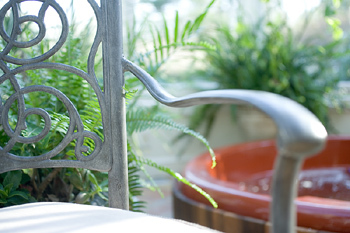 Do you want to entertain guests outside during the warmer spring and summer months? 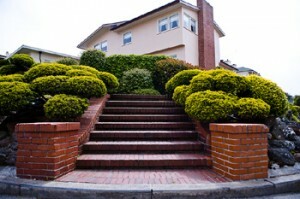 Do you want to beautify your lawn and add curb appeal with some sort of focal point for passers by and potential buyers? Do you want to add an extra living space? Whatever the reason, once you decide what the overall purpose of your deck is, you can then get into the facets of planning it. If you’re building a deck in the backyard, it might be because you want to entertain outdoors or perhaps you’d like to lay out by a swimming pool. Before you begin building, head outside early in the morning and notice where the sun hits your property; check again later in the afternoon, as well. This may be a deciding factor as to whether or not you would like to enclose your deck and make it a lanai/porch. And if you want some privacy, you’ll need to add screens, blinds and a door. An empty deck looks big… until you fill it with furniture. If you have already purchased the furnishings, you must measure the space accurately to ensure that all of your pieces will fit atop the deck. The size of your yard will also play a role in this decision, so try not to furnish your deck until after you’ve built it. Just keep in mind that you may want a table, a few chairs and perhaps a grill station if you choose to build an open deck. Don’t go overboard. If your home rises up well above your lawn, try to avoid building your deck lower than the house. You might remember that little step, but chances are that your guests might not notice it and take a little tumble as they step outside onto the deck. Also, you may want to consider installing railings. 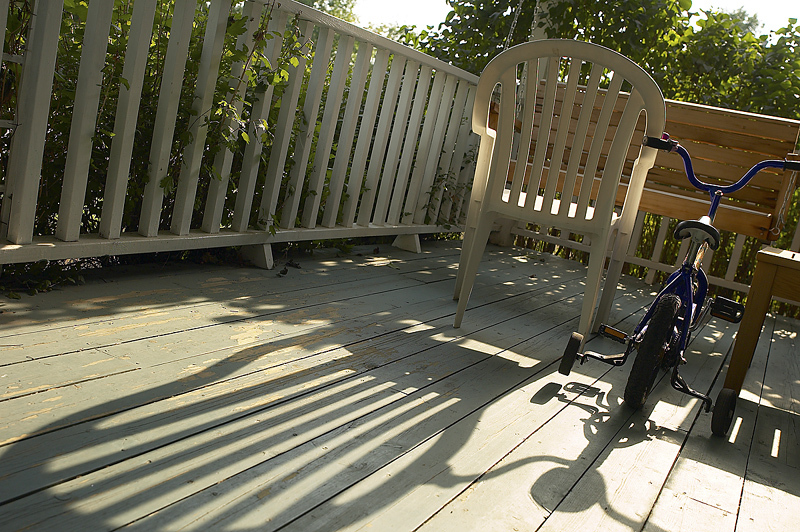 It’s a huge liability for you if someone were to fall off of your deck and break a bone. Again, if you are building a raised deck, you may want to build stairs that lead down to the yard. Consider the landscaping, though, and place the steps to the side of the deck where people will have the most room to walk and access the rest of the yard. In order to keep fuzzy friends from breeding under the deck, you may want to build lattice skirting around the bottom. It’s a nice decorative addition, as well. 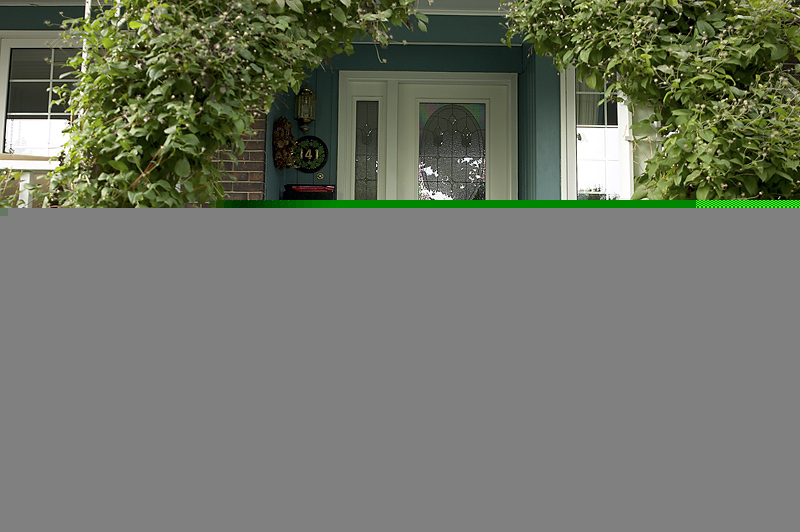 If you’re worried that your home’s curb appeal isn’t up to par, first focus on the home’s entryway. Potential buyers remember their thoughts when entering the home because it’s the transition from viewing the exterior to viewing the interior. They will acquire an initial judgment that future guests of theirs will view as well. You want to make this entrance as memorable as possible for them. If you don’t have time or money to spend on repainting the entire exterior, take a good look at the paint around the entrance. This is what buyer’s will observe up close. Repaint areas that are chipped or stained. If a walkway leads to a cement block or covered patio, think about painting it. If you have a wooden front porch, restain it. Make sure this entire area is clean of debris. During winter months, shovel the snow away and sprinkle salt on top of icy patches. Take a good look at your front door. Does it contain nicks or cracks? How old is it? It may need more than a paint job. Some doors can be patched up with repair kits. 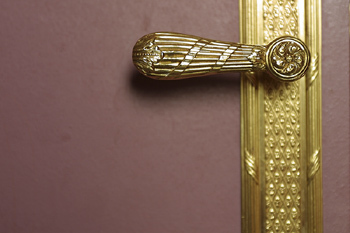 In other instances, consider purchasing a new door. Doors come in multiple styles: wood, steel, fiberglass, aluminum and more. 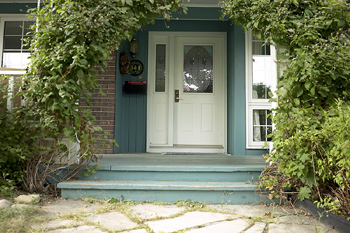 Even adding a storm door could aid with appeal and insulation. Clean the surrounding windows for a fresh, crisp appearance. Turn on your outdoor lighting to make sure they all work. If you own a custom name plaque or a Beware of Dog sign, take these items down. 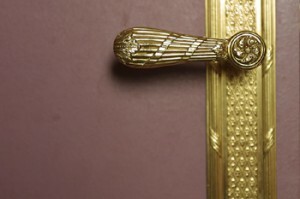 You want the entrance to appear neutral and inviting. Provide a plush welcoming mat for a clean appearance. This can help prove that the interior floors have been well-kept. Make sure the flooring boasts a clean, shiny appearance. Display a plush mat or rug to reiterate the fact that muddy shoes were never an issue. Clean the windows inside, too. If any of the foyer windows include curtains, keep them open. Turn on the foyer light fixture and make sure all the bulbs work. You want the interior’s first impression to be bright and homey. Fill the foyer with neutral, welcoming accessories. Place a plant or a vase of flowers on a table. Offer a plate of cookies or light a scented candle. Hang a mirror or a clock. Take down any family portraits or other personal items that the buyer will not relate to. Lastly, use the time of year to your advantage! If a holiday is approaching, decorate the main attraction of your entryway. You don’t want to go overboard with holiday décor, but you can use it to attract the buyer’s attention to a selling point. If a grand staircase resides right inside, wrap a strand of holly around the railing.